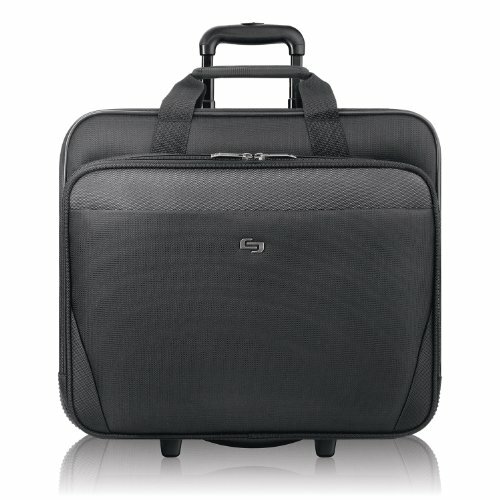 This Perry Ellis spinning business laptop briefcase is all you need for those overnight business trips. 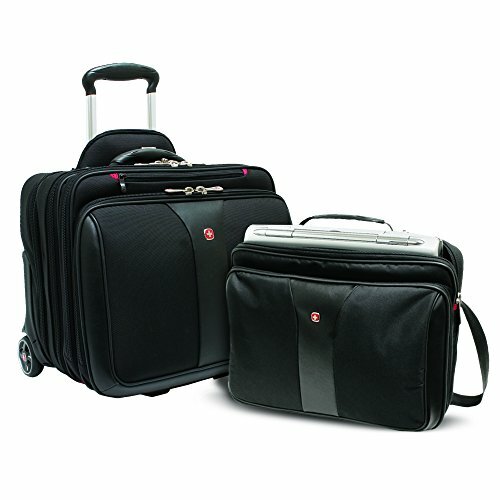 With a large main compartment for a 15" laptop and overnight clothing, you'll be able to travel with ease. A retractable handle and 8-wheel spinner/rolling system allows you to glide through the terminal and onto your flight effortlessly. Keep your accessories like your cell phone, keys, pens, and business cards organized with a easy to reach front, zippered pocket. A lightweight design keeps the frequent business traveler in mind. 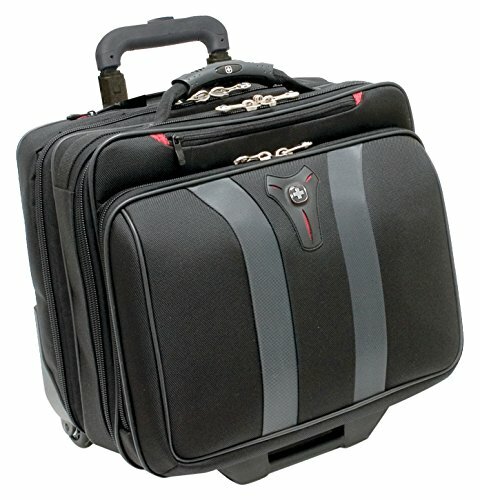 The Patriot Wheeled Computer Case from Swiss Gear lets you organize for the day’s chores easily fitting most 17 inch laptops. 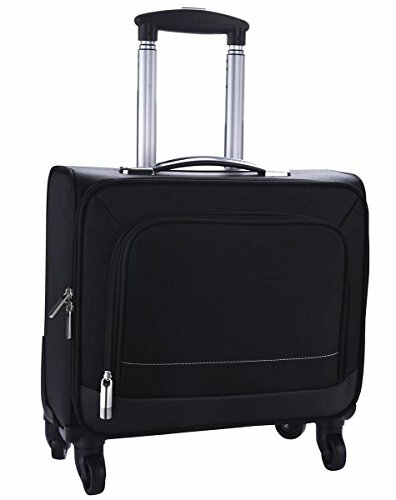 For easy moving around it features chrome accented 3 wheels and chrome accented recessed carrying handle. It incorporates an organizer compartment for pens, business cards, phone and more, a spacious overnight compartment that fits clothes for the next day and a Fan-file compartment. 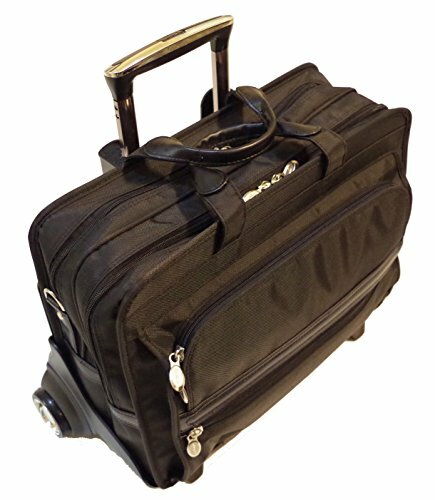 The zippered compartment stores trolley handle when not in use thus saving space. 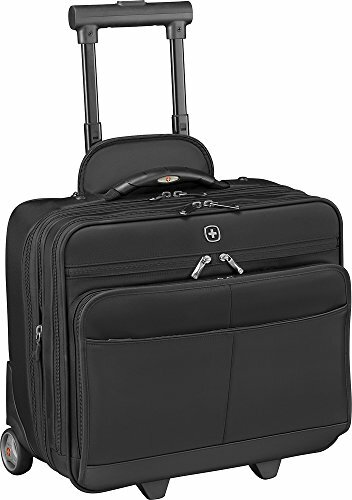 McKlein USA FRANKLIN 56445 P-Series Black Nylon 17"
McKlein's P-Series Franklin 56445 Black Nylon 17 inch Wheeled Laptop Case features a Chrome Handle and Chrome Mag Wheels and a patented 2-in-1 detachable wheel and handle system. Full Grain Cowhide Leather Trim. Two front organizer pockets hold media devices, cell phone, business cards, key chain and pens. Four total Separate Zippered Compartments, including one compartment with an accordion file for all your document needs. Back compartment is padded to protect most laptops up to 17 inches in size. 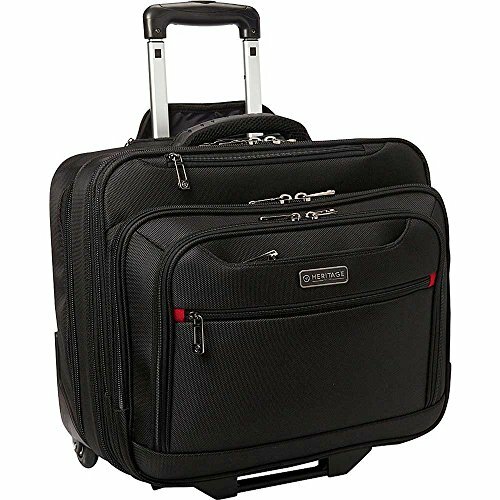 Smart zipper attachment allows transport on extended handles of other rolling cases and luggage. 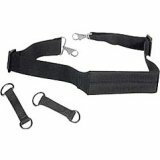 Shoulder strap has a drop length of 13-19 inches. 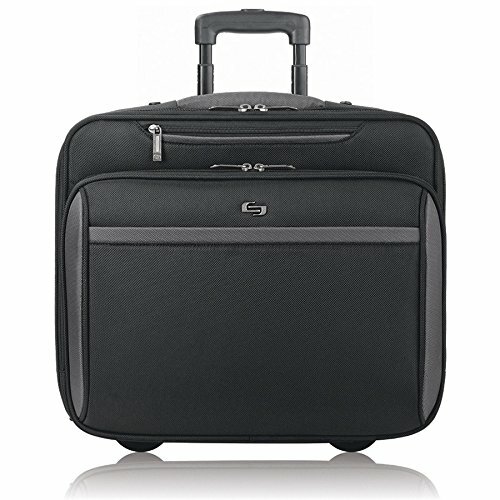 Solo 16” Rolling Laptop Case with overnight section features CheckFast sleeve design that allows you to pass through the airport security more quickly. Removable padded sleeve protects laptops up to 16” and interior compartments feature quick access pocket, front zip-down organizer section and fan file pocket that make it easy to stay organized. Comes with 5 year warranty. Solo 17.3” Laptop Rolling Case has padded pockets that protect laptops up to 17.3” and a dedicated interior pocket for iPad or tablet. The front zippered pocket, dual file section, and zip-down organizer section provide you with ample storage and organization. Hidden push-button telescoping handle system allows you to grab and go! Classically styled business case designed for travel. Constructed of rugged 1680 ballistic fabric with and an easy access quick stash front pocket. 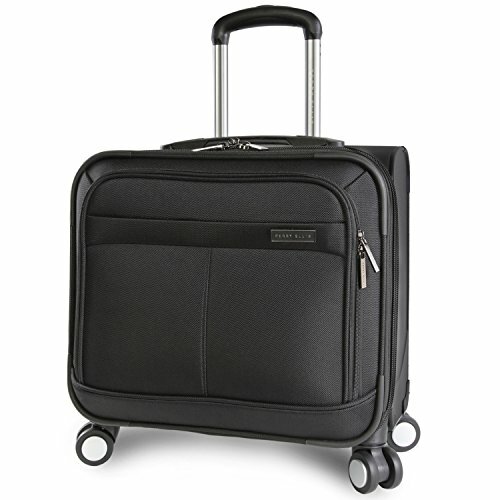 Handle and wheels are made with Samsonite luggage quality and durability. Copyright © Wholesalion.com 2019 - The Best Prices On Wheeled Business Computer Case Online.